Retail employees at Apple were asked to sign a non-disclosure agreement in anticipation of an all-hands meeting later in the week, possibly before an upcoming media event, according to AppleInsider. Employees who didn't sign the agreement were – of course – to be excluded from the meeting. There could be two products behind this meeting – a new MacBook Pro or the next-generation of the iPad. 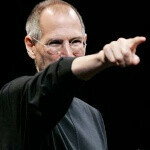 But the new lineup of MacBook Pro notebooks is expected to be released this Thursday on the very birthday of Steve Jobs. So the only option left is the iPad 2, an announcement well worth of media attention. This would prove wrong recent rumors about the delay of the next-gen iPad, but would match Apple's strict one year product cycle. It was around this time of the year in 2010 when Apple announced its revolutionary new iPad. So even though this is still just a rumor, you might want to wait up just one more week before getting a new tablet - could be well worth it. "Employees who didn't sign the agreement were – of course – to be excluded from the meeting."!!! Aren't Apple employees required to sign a NDA when they are hired? And really, what do the persons who do not sign the agreement (assuming there are any) believe their long-term prospects to be with Apple? I think this is the post traumatic stress after the MWC 2011 when Android eats Apples at breakfast and anytime they want from now on !Apple Ipad 2?With what features? Maybe they'll announce they're going to start building stuff in this hemisphere again, with lower prices and modern compenents (they're still using Core2Duos in their high end overpriced garbage)... oh wait it's apple we're talking about. Nevermind. Well, tablets existed l o n g before iPad. But Apple did make them popular. It's the "chicken or the egg" scenario. All arts and industries copy. That's all innovation is: -Hey, I made this thing... I call it a wheel. -Oh, I see you have a wheel there... well, my wheel is lighter because it uses this new fangled 'spokes' technology. -Spoked wheel? Ha! My spoked wheel has a rubber tire around it. -Rubber tire on a wheel? Old news. My rubber tire has an inner-tunb filled with air for an even softer ride. EVERY company copies. Oh-oh bla-bla, let's fight over totally irrelevant electronic equipment. How civilized are we?